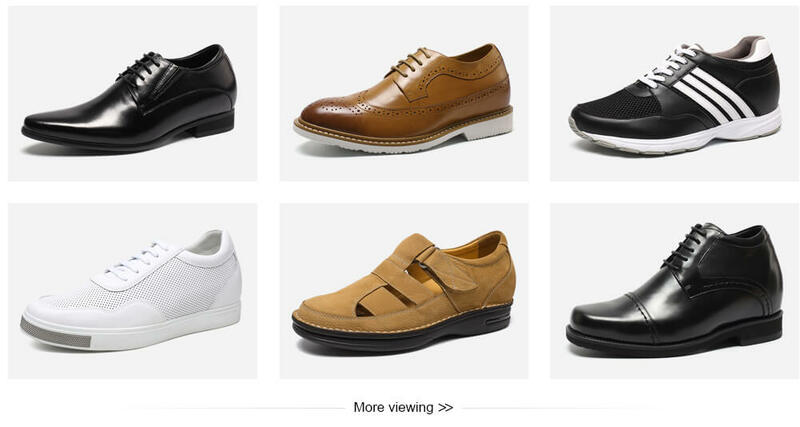 Why Choose Invisible Elevator Shoes Industry? 1.If the normal shoe is like 6 people share 10 apples, then the elevator shoes is like 6 apples belong to you only. 2.In order to protect the profits of franchisees, only set one specialty store in one region. 98% of the customers will return to buy more.Every customer will become a regular customer because once they feel how great to be taller in an(once wore) elevator shoes, they don’t want to come back to be shorter anymore.Moreover, every regular customer may bring you 2-3 new customers . According to data released by authoritative organizations, the city with a population of 500,000 has at least 40,000 potential customers with unsatisfactory heights (the people below the average height will need elevator shoes more than the higher one in the daily life). 500,000 (total population) ÷ 2 = 250,000 (male). 250,000 (male) ÷ 3 = 83,300 (men between the ages of 18 and 50 is about one-third). 83,300 ÷ 2 = 41,700 (18-50 years old men whose height not ideal). 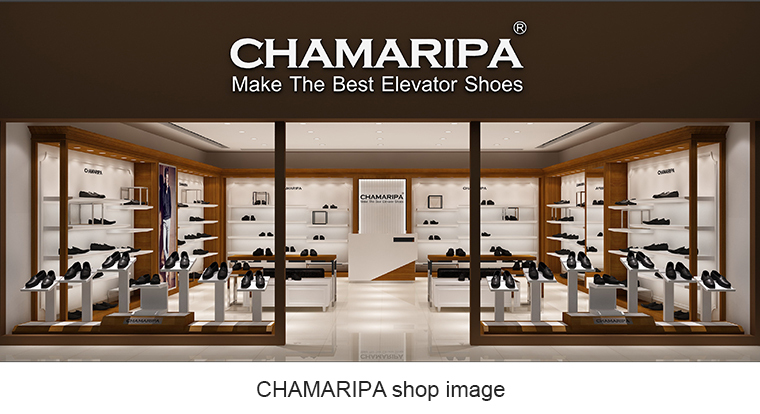 Why Choose Elevator Shoes From Chamaripa? 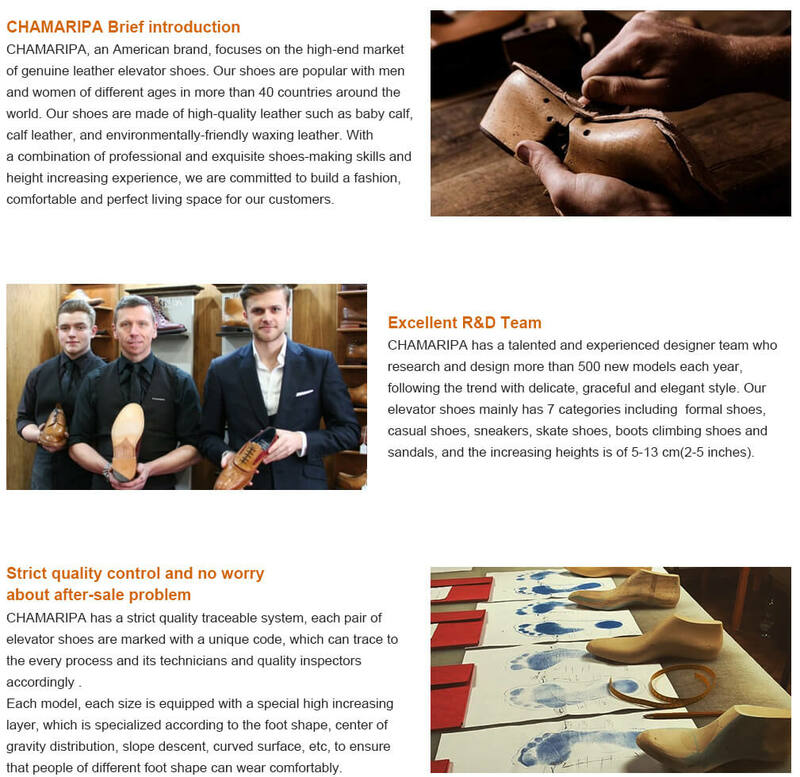 CHAMARIPA ,an American brand , focuses on the high-end market of genuine leather elevator shoes.Our shoes are popular with men and women of different ages in more than 40 countries around the world. Our shoes are made of high-quality leather such as abortive calfskin, calfskin,(baby calf, calf leather) and environmentally-friendly waxing leather. 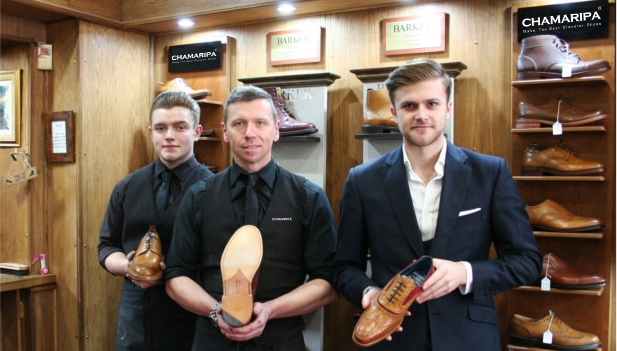 With a combination of professional and exquisite shoes-making skills and height increasing experience , we are committed to build a fashion , comfortable and perfect living space for our customers. 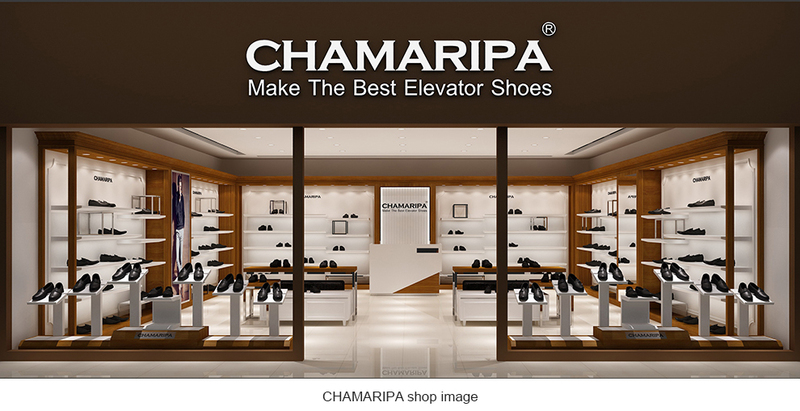 CHAMARIPA has a strict quality traceable system, each pair of elevator shoes are marked with a unique code, which can trace to the every process and its technicians and quality inspectors accordingly . 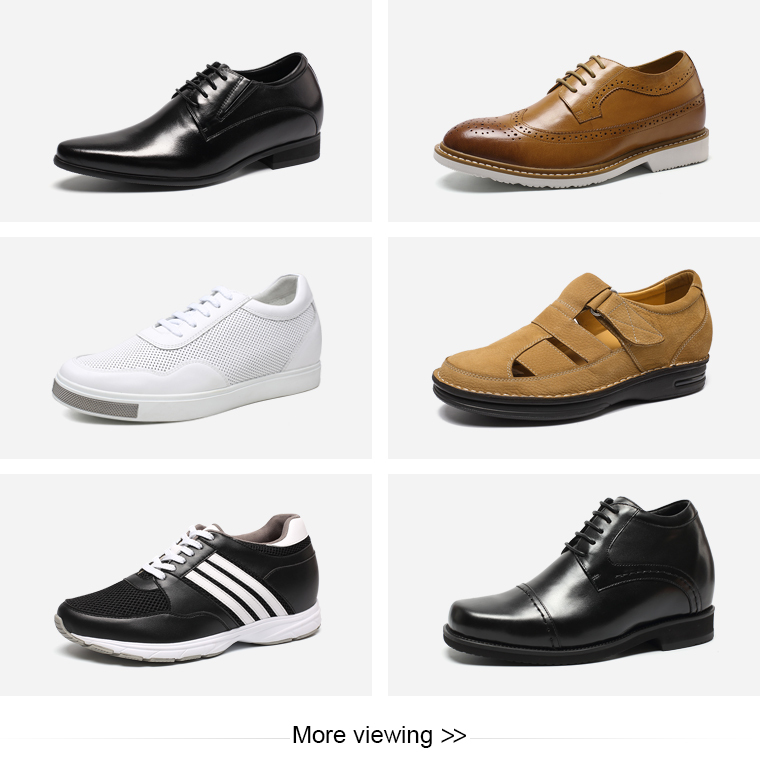 Each model ,each size is equipped with a special high increasing layer, which is specialized according to the foot shape, sense of encirclement(match closely with the feet), center of gravity distribution, slope descent, curved surface, etc., to ensure that people of different foot shape can wear comfortably. If you open a store in City A, then all the orders placed in CHAMARIPA official website in City A are counted as your sales, and the profits are owned by you! 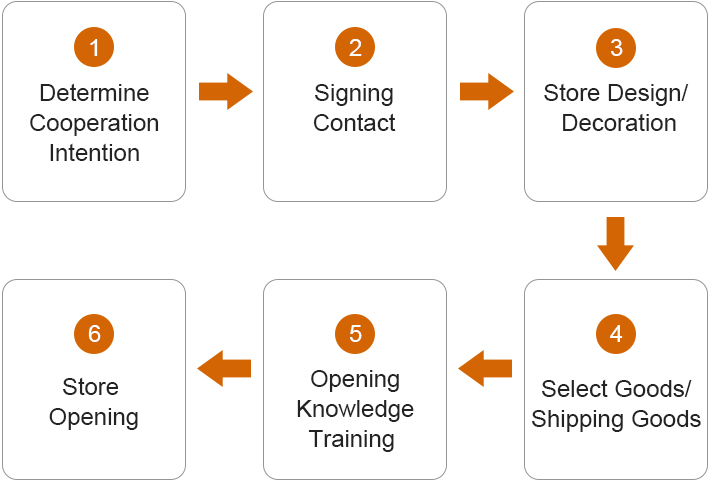 Free promotional marketing materials, free operational training and guidance, etc.